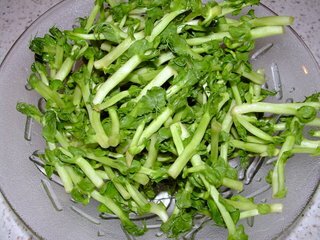 Pea-Sprouts are also known as “Tou Miau” in Mandarin. Rich in vitamins and minerals, it is considered one of the easiest vegetable to stir-fry. 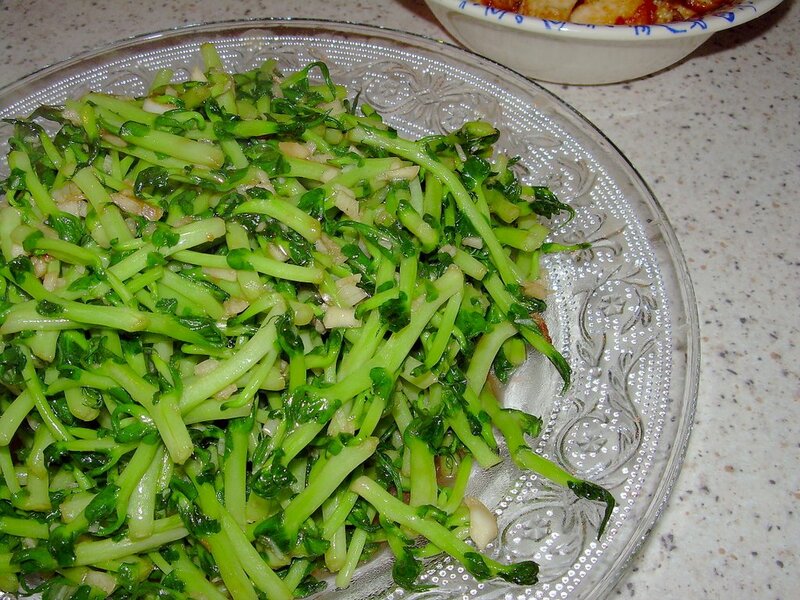 Popular in many Chinese restaurants, the prices of these pea-sprouts have risen over the years due to its high demand. 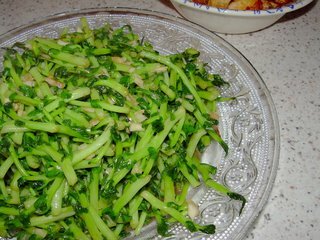 When cooking this dish, it is important to have the wok heated at high as you need to cook the pea-sprouts in minimum time to preserve its nutrients and to ensure that the juices are retained in the sprouts. Else you will have a flooded dish! Heat wok till wok starts to smoke. Add oil followed by garlic. Give the garlic a few quick stir and add the pea-sprouts. Continue to stir-fry briskly whilst adding seasoning. 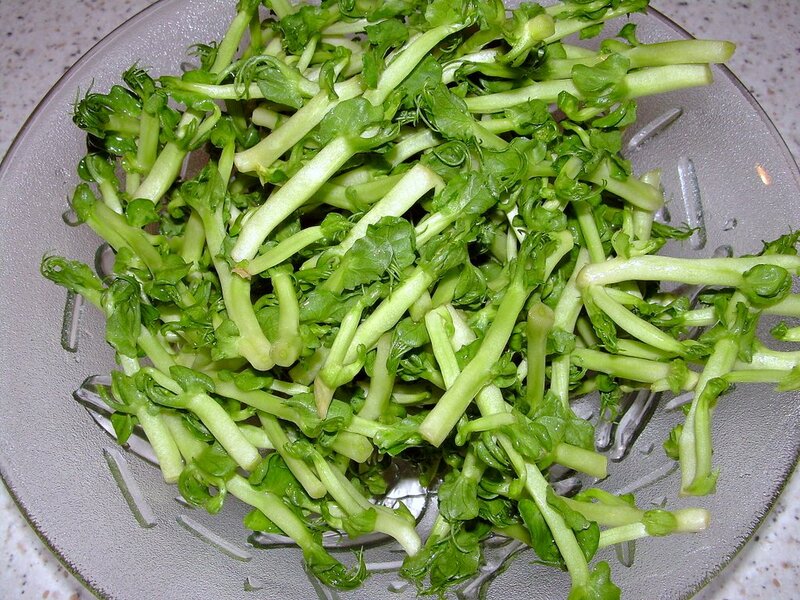 Cook until pea-sprouts begin to wilt to your desired softness or reduced by 1/2 in bulk. Add one or two tablespoons of warm water if you prefer some gravy.